Natasha Colkett is a freelance violinist and violin teacher in the Philadelphia area. 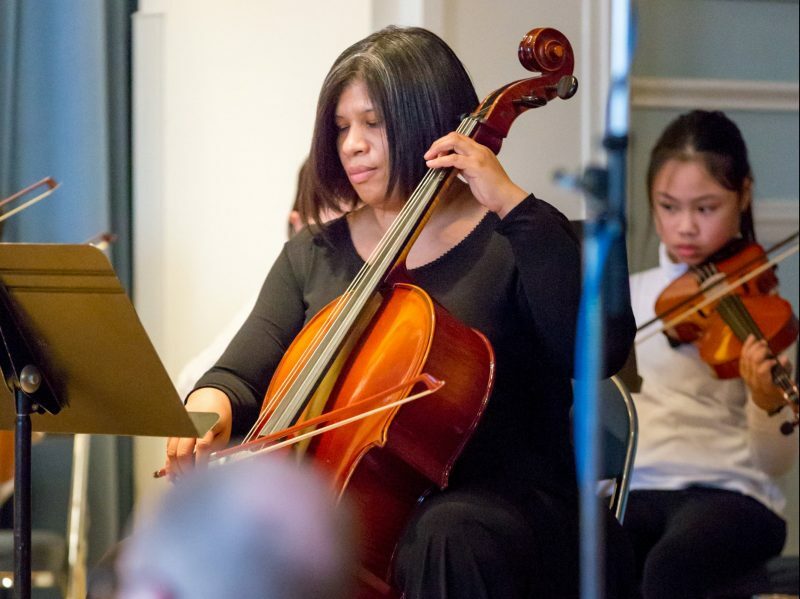 She has been teaching Suzuki and traditional violin lessons at Settlement since 2015, and also teaches group violin classes for Settlement’s Music Education Pathways program. After studying with Lee Snyder at Settlement in high school, Natasha got her Bachelor’s degree in Music Education and Violin Performance at Ithaca College in 2007 and her Master’s in Violin Performance at the University of Denver in 2010. She completed her Suzuki certification through Book Six while in Denver and has been teaching lessons to students of all ages ever since. Natasha currently performs with the Pennsylvania Ballet Orchestra, the Allentown Symphony, and the Bay-Atlantic Symphony regularly during the year, and during the summer, she plays with the Central City Opera and is a founding member of the Boxwood Ensemble based in Colorado.